In the second glyphosate personal injury case to go to a jury trial, a federal jury in the case of Hardeman v. Monsantomatter returned a unanimous verdict of $80 million for the plaintiff against the defendant. 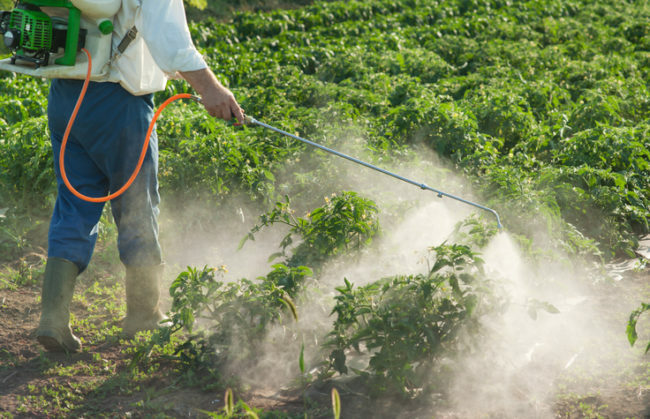 The verdict ended a two-part trial over the plaintiff’s allegations that his exposure to glyphosate over a period of approximately 25 years of spraying Roundup on his 56-acre property caused him to develop Non-Hodgkin’s lymphoma. In the first phase, which ended last week, the jury found that the plaintiff’s exposure to glyphosate caused his cancer. In the phase that occurred over the last week the jury determined additional elements of liability as well as damages. The jury heard evidence that Monsanto was allegedly aware of various studies linking its glyphosate-based Roundup product to cancer, but failed to warn consumers about it. The jury was also presented alleged evidence that Monsanto engaged in ghostwriting multiple articles which, according to the plaintiffs, were written in an effort to mislead federal regulators and the public about glyphosate’s safety. Monsanto vigorously defended the matter. Among other defenses, it argued that, until recently, no health organization or government body had found that glyphosate could cause cancer. Moreover, as to that aspect of plaintiff’s case seeking punitive damages, the defendant argued that, in order to prevail, the jury would need to essentially find that Monsanto engaged in conduct that would be akin to criminal conduct. Of the $80 million verdict, $200,967 represented economic damages. The jury awarded $5 million for past and future noneconomic damages (pain and suffering). The remaining $75 million reflected punitive damages award. The defendant will likely appeal this award. Back in October, the same defendant appealed the $289 million jury in the first glyphosate verdict against it, which resulted in the award being lowered to $78 million. The judge in that case found that, under the U.S. Supreme Court case of State Farm Mut. Auto. Ins. Co. v. Campbell, which provides a framework for evaluating whether a punitive damages award violates the Fourteenth Amendment of the U.S. Constitution, the ratio between the punitive damages award and compensatory damages award should be one-to-one. Assuming an appeal is taken, the defendant will likely make similar arguments in appealing this second verdict. The defendant will also likely appeal other aspects of the trial.